Thank You for standing with us as we broadcast the Gospel of the LORD Jesus Christ over the public airwaves. When you click below, you will be directed to a Secure Server, where you may enter your information with an assurance of privacy. 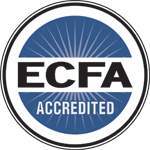 WPGM FM, WPGM AM and WBGM FM are members of the ECFA (Evangelical Council for Financial Accountability) an accreditation agency dedicated to helping Christian ministries earn the public’s trust through adherence to seven Standards of Responsible Stewardship. Founded in 1979, it is comprised of over 1,200 evangelical Christian organizations, which qualify for tax-exempt, nonprofit status and receive tax-deductible contributions to support their work . ECFA’s Standards of Responsible Stewardship focus on board governance, financial transparency, integrity in fund-raising, and proper use of charity resources. Therefore, WPGM FM, WPGM AM and WBGM FM are thankful for the privilege of displaying the ECFA seal on our website – it is your assurance that we ascribe to the highest standards of ethical conduct. To learn more about the stewardship necessary to be members of ECFA, visit their website.